STUNNING EXAMPLE FINISHED IN IBIS WHITE WITH FULL BLACK LEATHER RS EMBOSSED SEATS. THIS CAR HAS BEEN CHERISHED AND LOVED, SITTING ON PERFECT GLOSS BLACK ALLOYS WITH NEAR NEW MATCHING MICHELIN PILOT SPORT 4 TYRES, FULL SERVICE HISTORY WITH 7 SERVICES CARRIED OUT SO FAR INCLUDING REGULAR HALDEX AND SPARK PLUGS ETC. 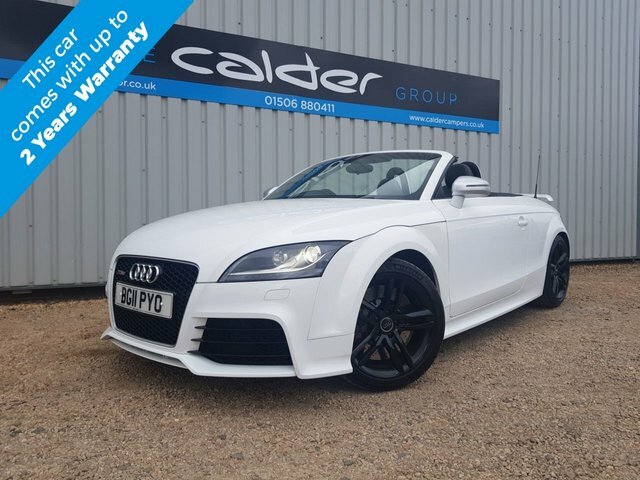 LOVELY SPEC WITH DVD SATELLITE NAVIGATION, BOSE SOUNDS, AUDI MUSIC INTERFACE, BLUETOOTH, CRUISE CONTROL, HEATED SEATS, REMOTE CENTRAL LOCKING, POWER HOOD, LED DAYTIME RUNNING LIGHTS WITH AUTO XENON LIGHTS. FULL BOOK PACK, TWO KEYS, FULL SERVICE HISTORY ( 4 AUDI STAMPS AND 3 SPECIALIST ) LAST SERVICE JUST DONE @ 54K. INVESTMENT OPPORTUNITY! VERY GOOD EXAMPLE OF THIS NOW GETTING RARE COUPE, FULL SERVICE HISTORY WITH 11 STAMPS IN THE BOOK PLUS ALL FOLDER FULL OF INVOICES ETC. THIS CAR HAS BEEN GENUINELY LOVED AND CARED FOR. FINISHED IN DOLOMITE GREY METALLIC WITH FULL RED SILK NAPPA LEATHER INTERIOR. BOSE SOUNDS, 6 CD CHANGER, 18" ALLOY WHEELS SITTING ON FOUR MATCHING GOOD YEAR F1 TYRES. THIS IS ALSO THE FOUR WHEEL DRIVE MODEL. THE SERVICE HISTORY IS FULL AUDI WITH EXTRA OIL SERVICES CARRIED OUT INBETWEEN, IT HAS ALSO HAD TWO CAM BELT CHANGES, HALDEX CHANGES ETC ALSO CARRIED OUT PLUS EVERY MOT FROM NEW ETC. TRACKER FITTED, TWO KEYS, FULL BOOK PACK. YOU WILL STRUGGLE TO FIND A BETTER EXAMPLE THAN THIS. GENUINE FUTURE CLASSIC. Few vehicles are as striking as the Audi TT, with its sleek lines, quality interior and powerful performance. Now into its third generation, this iconic sports car is as fresh and as dramatic as ever, offering a ride that'll see you craving more. 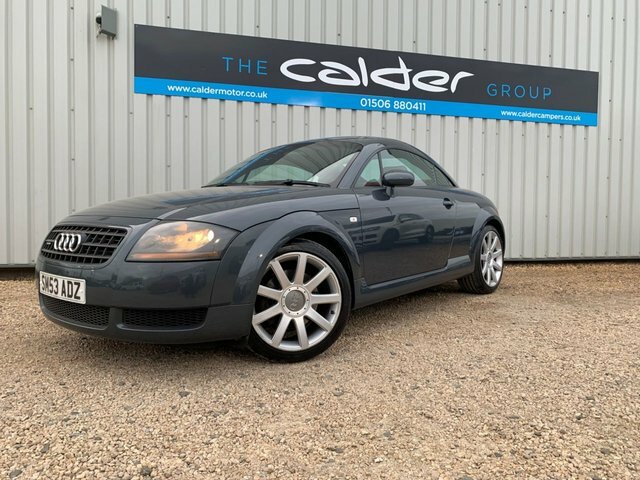 Save money on a used Audi TT for sale in West Lothian right here at Calder Motor Co Ltd. Our range of quality used cars has something to suit all budgets and lifestyles, and you can rest assured our friendly and knowledgeable team will always go the extra mile to help you find the vehicle of your dreams. Discover more and book a test drive in one our used Audi TT cars by contacting the showroom now.